Main purpose of this article is to analysis to know about New Product Design. 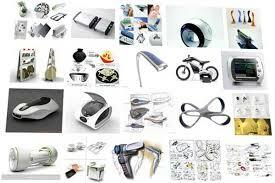 Product design is the process of making a new product for being sold by a business to its customers. A very wide-ranging concept, it is essentially the efficient and also effective generation and also development of ideas by having a process that leads to new products. Businesses would then have the capacity to harness the innovative talent of their employees to come up with products that can change the way anyone does business. The following are some of the steps which can be taken when designing a new product design: Research is an important component of new product design, Define the scope of the intended product and Creating the blueprint.